how do you get the inner portion part to spin? The upper part just below the spring will turn if you grease the ramps. Just stick a rod in the boss in the side and turn. Instead, I remove the lower bolt and twist the bottom part. Make sure both sides are adjusted the same. I think to get the last 2 clicks you may need to unload the shocks. On my car I cannot adjust the firmness with it on the ground..
No, as long as both shocks are adjusted the same, doesn't matter which way the point. 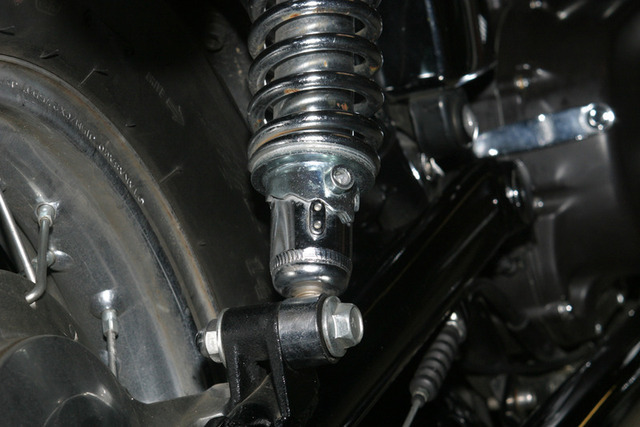 If you want to have them both point rearward, lift the bike slightly to take the weight off the shock, remove the mount bolts, take shock off and turn it around. or just twist the bottom. How do you even get to that part on the shocks?? In my creepy robot voice.